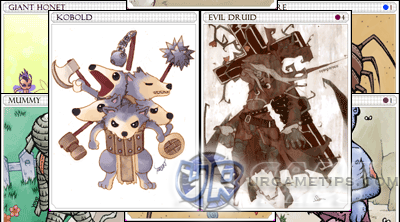 Cards for Shields mainly focuses on reducing the damages dealt by specific monsters. Example, if you want to reduce the damages of Shadow monsters like Orcs and some Boss monsters in the game, you might want to get some Hammer Kobold cards for your Shield. Always Equip 3 of a kind for better results. Refer below to learn which cards suits your character's shields, and playing style. The list below is only for shields, browse more cards by clicking any card menu buttons below.